We are a blues revue, keeping the blues alive, lots of traditional, Chicago shuffles, New Orleans-delta, West Coast blues, acoustic and electric. We perform as a four-five piece band. We also have some original music in our repertoire. Blues singer Memphis Minnie and her husband Kansas City Joe McCoy have been sort of spirit guides for Beth Reid-Grigsby and Richard (R.W.) Grigsby, the wife-husband team of Red’s Blues. 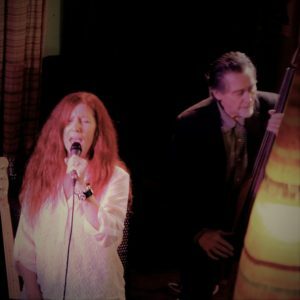 “Songwriters, performers and partners in life!” smiles Beth, the red-headed, alto-voiced leader of the band, to Richard, co-writer, nationally known blues bass player and husband. Charlie Musselwhite has joined numerous other blues music fans supporting this debut recording effort of the couple. In point of fact, their new CD, Red’s Blues, boasts an all-star group joining Beth on lead vocals and R.W. on doghouse and electric bass, vocals. Guitarist Robert Sidwell (Earl Thomas, Rusty Zinn, Mark Hummel, The Hucklebucks) and Larry Carr (Rowdy Kate, Keri Carr Band, Twilight Drifters, Earl Thomas) on drums make up the core foursome. Special guests include two major harmonica greats Rick Estrin and Mark Hummel each on three songs. Elegant swingman John Cocuzzi is on piano and organ and NorCal’s Telecaster genius Steve Randall joins in on one track too. 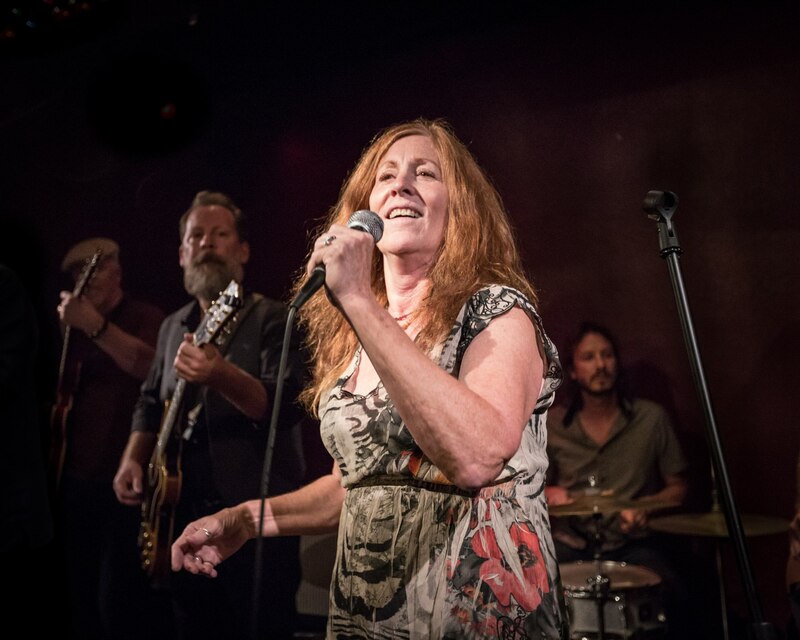 Red’s Blues has a finger-poppin’ attitude—straight outta the golden years when blues, R&B and swing all meshed together and dance floors every night were filled with snake hips and slow drags. Beth, with her sensual, southern voice and classy behind-the-beat phrasing finds perfect rhythmic support in both Carr and R.W. They all know the secret of groove. The upbeat “Sally Lou” opens, one of five stellar originals. It’s a swingin’ ditty about being a working girl her name is Sally Lou at night, but Betty Lee during the day. “We want to catch listeners by surprise—the attitude of the song. So many songs by and about women are “victim” songs, and that’s not me” says Beth. In fact, when she sings “let’s play it cool, let’s live by the golden rule— just don’t be no fool, use what you learned in school” and follows with Memphis Minnie’s womanwise “In My Girlish Days” , Beth and band are doing what so many attempt and few succee—engage the head and the feet. “Sherry & Ray” is a sassy, second line original winner about getting out of the South “cause the birds stopped singin’ and phone stopped ringin’, bought a sixty dollar ticket on an old Greyhound.” And on “Why Don’t You Do Right,” Sidwell, Cocuzzi and Reid-Grigsby would make Wes Montgomery, Charles Brown and Peggy Lee jealous. The phrasing and the late night world-weary elegance is perfect. That Beth & R.W.’s original songs hold their own nestled in between gems by New Orleans’ Dave Barthomew (The Golden Rule”), Memphis’ Roscoe Gordon(“No More Doggin’”) and Memphis Slim(“The Blues is Everywhere”), and the aforementioned Kansas Joe McCoy(“Why Don’t You Do Right”) and Memphis Minnie (My Girlish Days”) makes for a great live show—part juke joint, part nightclub. Their combined personal history and harmonies, and love of the classic blues vibe pays off. Beth, thanks to her older brother, grew up listening to Huddie Ledbetter, Muddy Waters and Mississippi John Hurt records and as a kid, learned from and sang songs at home with her Mom– “ Summertime,” “God Bless the Child,” and “St. Louis Blues.” Across the street in her hometown of south Santa Barbara though, the shy 7 year old redhead was bold enough to go perch on the neighbor’s porch listening to a Cuban salsa band rehearse, and from that learned to love the rhythms, the bass and percussion in particular. She and R.W. met through the local Santa Barbara blues scene years later in 1977, and have lived in his home state of Georgia and then Texas before heading back to sunny Sacramento, California in 2006. 2014 Grammy-nominated and Blues Music Award (BMA) winner bassist R.W. Grigsby has been playing since he was 14 years old, and began his professional career when still a teenager. He’s toured the U.S., Canada and Europe since the ’80s, and currently juggles playing with Red’s Blues, Mark Hummel and the Blues Survivors and The Golden State/Lone Star Blues Revue. He played and recorded with Texas blues stars Gary Primich and Mike Morgan and the Crawl in the ’90s. R.W. is the bassist on the 2014 Grammy nominated and BMA-winning CD, Remembering Little Walter. With solid sender drummer Larry Carr (who KNOWS how to shuffle), they provide the tastiest groove this side of the Windy City. Red’s Blues is a great little band from the Sacramento area. Featuring Elizabeth Reid-Grigsby on vocals, her husband RW Grigsby on bass and vocals, Robert Sidwell on guitar and Larry Carr on drums, they have a slow and melodious sound that is all their own. Mixing originals with tasteful covers, the band has a unique approach that blues fans can savor. “Sally Lou” is a jumping little original ditty where Beth sings in a laid back fashion, Sidwell struts his tuff on guitar and Grigsby and Carr lay out a swell little groove. Cocuzzi’s tinkles out the piano line aptly, a nice team effort. “No More Doggin’” is a Roscoe Gordon cut and features Rick Estrin on harp. Beth is again restrained and almost hush hush in her approach as they shuffle together. Estrin and Sidwell play off each other in this simple yet effective tune. Mark Hummel takes on harp duties for “The Golden Rule;” the organ makes its’ first appearance here, too. Another mid-tempo swing, the band is obviously in their comfort zone here in this cover. Memphis Minnie’s “My Girlish Days” appears next. Nice, slow blues as Estrin returns front and center on the harp. 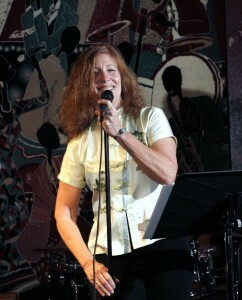 “Sherry and Ray” also features Estrin on this original tune. “Detroit Blues” has hubby R.W. on lead vocals with Liz backing him. Another mid-tempo shuffle, Hummel joins in blowing some mean harp. Metered and precise, the band has this groove down to a science. Kansas Joe McCoy’s sultry “Why Don’t You Do Right” is up next and Beth delivers a fine performance crooning this one to us. Lots of restraint is demonstrated all around here as the takes a jazzy tact with this cover. R.W. walks up and down the neck of his bass and Sidewell lays out some good lead licks, too. Mark Hummel offers up “Ain’t Worried No More” and does a nice intro. Beth comes in and does her stuff in a slow shuffle. “Blues is Everywhere” goes back to the slow blues as Liz growls at the base of her register on this Memphis Slim tune. The original “Sherry Ann” follows and R.W. and Beth harmonize a bit as R.W. takes the lead here. Nice piano here again. “Don’t Waste My Time” concludes things in similar fashion as they stay mid-tempo. An original tune, Beth stays true to form and Steve Randall appears on lead guitar with a bright, strutting tone and pace. A bonus 12th track is a sweet instrumental that is a gem unto itself. I liked the album and understand the sound and style they are trying to produce. The songs offered up here are mellow and range from slow blues to mid tempo swing. I would have liked to see a couple of real up tempo cuts to offer a little more variety, but Beth, her husband and band have a thing going on and they are tight. If that’s your cup of tea, it will be a tasty one- I enjoyed Red’s Blues and those who appreciate a band with a mellow, swinging sound will, too. 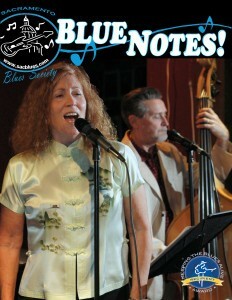 Read about Red’s Blues in the Blue Notes Newsletter!